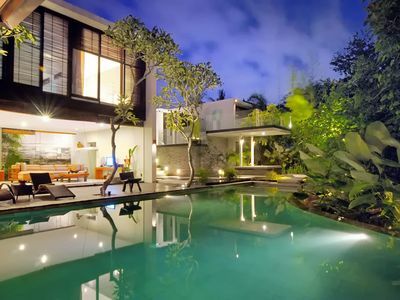 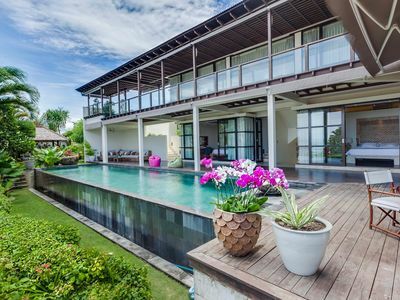 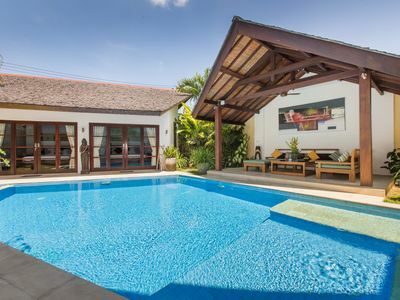 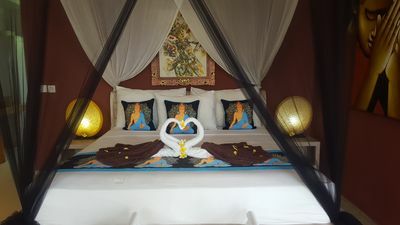 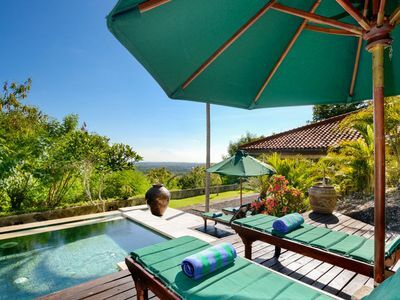 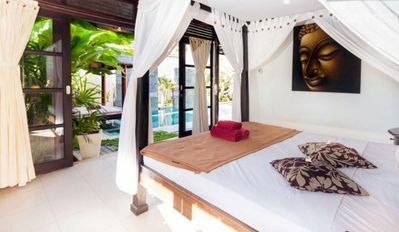 Two bedroom private pool’s villa with the magnificent layout arrangement, has an outdoor pool side living & eating area. 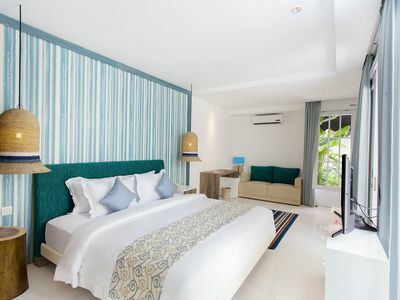 Two separates rooms with the individual LCD TV, air conditioning and a queen size bed. 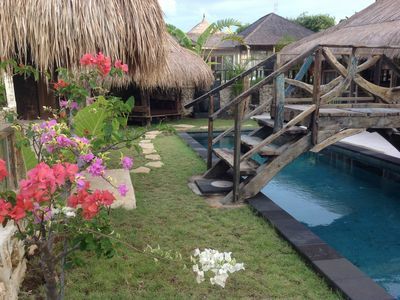 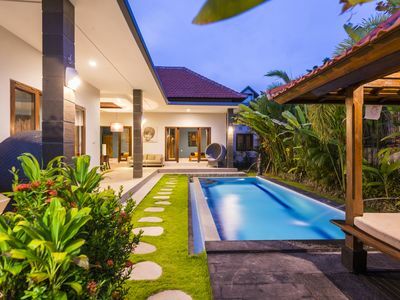 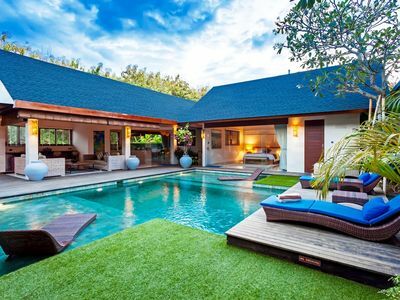 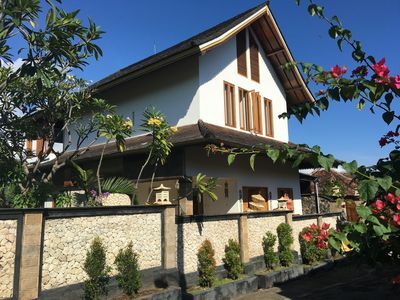 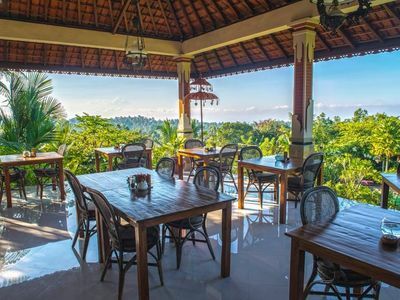 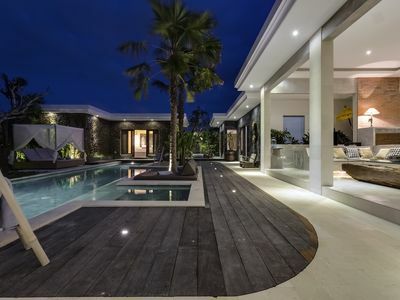 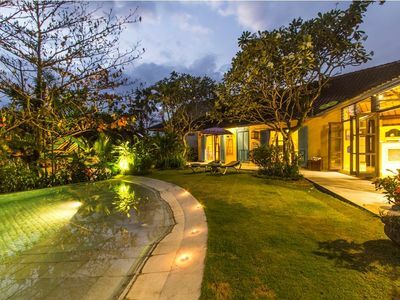 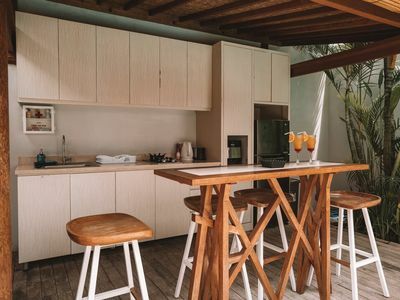 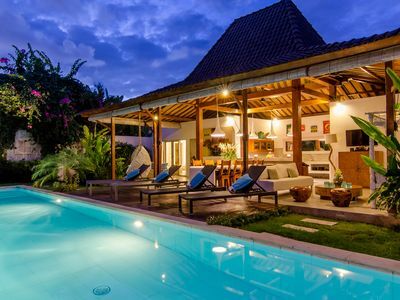 Appropriate for a family or a party who would like to experience Canggu. 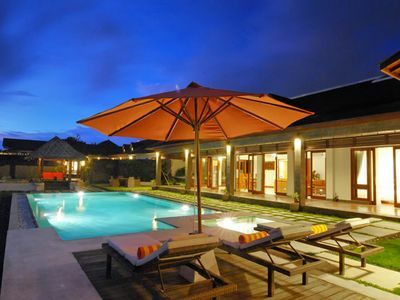 The location Not more than 5 minutes ride to Berawa’s famous attractions, Berawa Beach Canggu, Finns Recreation Club, Finns VIP Beach Club, etc.. you name it.Our little bluish lagoon-like pool will popup right after you open the entrance from our “enough for one car garage”, an outdoor kitchen with pool side eating area and a compact living area will also welcoming you. 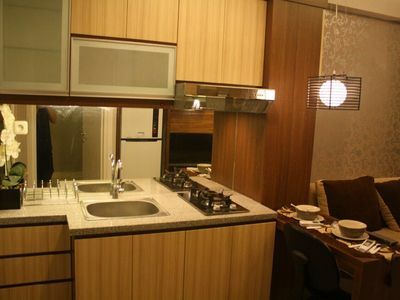 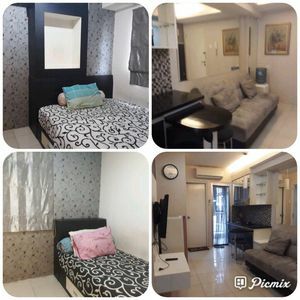 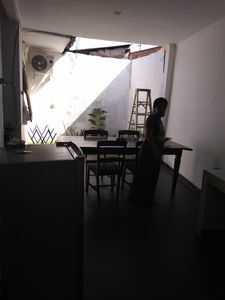 All rooms equipped with an air conditioner, Flat TV, safe deposit box.